Terahertz CMOS Electronics for Future Mobile Applications , Minoru Fujishima, 225th ECS Meeting, 2014/05/12, With Invitation, The Electrochemical Society, Orland, The highest operation frequency of RFCMOS circuits has risen exponentially over the years. This improved performance has culminated in new wireless and wireline communication standards with higher data rates. There has been a tenfold increase in the wireless data rate every four years, being much faster than the increasing speed of wireline communications. If this trend is to continue, 100 Gb/s will be realized around 2020. In order to realize a terahertz CMOS transceiver with 100 Gb/s, not only is device performance improvement through miniaturization important, but also circuit design techniques that move the circuit operation frequency close to fmax must be developed. Furthermore, one has to remind that stringent practical issue, power consumption, still remains for mobile applications even if the terahertz transceiver is technically feasible. Namely, one must consider how the power consumption maintains at the level of the current mobile applications even when ultrahigh data rate is acquired. This challenging issue implies that the near-fmax design technique is extremely useful because the fmax of a given MOSFET is a function of bias voltage, and reduced-fmax circuits can have superior power efficiency. To utilize near-fmax technology, firstly, one has to know the optimum bias point giving maximum operation frequency under limited power consumption. To achieve low-power operation at a high operation frequency, it is important to choose an appropriate set of bias voltages. The FP (frequency-power) plot is a useful guide to choosing such a set, which shows the gate and drain bias dependences of fmax and power consumption per unit gate width of an NMOSFET. The power-efficient bias points can be found from the FP plot as the points on the power contours where fmax is maximized. The power-efficient bias points give the best fmax for the given power consumption. Since the highest possible fmax of a given MOSFET is realized away from the power-efficient bias points, it is best to avoid the bias point that maximizes the transconductance (gm) if power efficiency is an important design goal. By reducing the actual fmax to be used through tracing the power-efficient bias curve, power consumption can be reduced considerably. As can be observed in 65- and 40-nm CMOS processes, reducing fmax enables exponential power reduction, where the reduction rate is 1/10 every 75 GHz in both process technologies. When trying to obtain the highest possible performance of a MOSFET, the MOSFET must be biased such that its highest fmax is realized. If, on the other hand, the power consumption is a great concern in a terahertz mobile application, one can opt for a reduced-fmax design. Power-efficient bias points can be found in the FP plot. 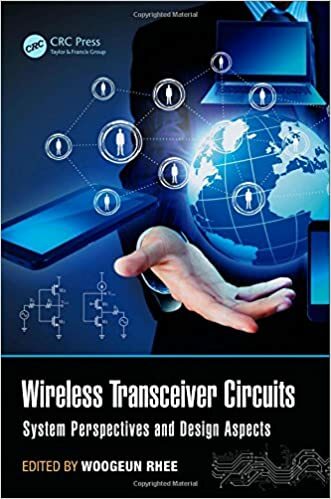 Continued improvement of the device performance is thus essential for achieving the ultimate low-power high-speed wireless communication even in mobile application. Millimeter-wave and TeraHertz CMOS Design, Minoru Fujishima, Tsinghua University Seminar, 2014/05/16, With Invitation, Tsinghua University, Beijing, Millimeter-wave and its h igher-frequency part “terahertz” have attracted many attentions to open up new applications such as ultr ahigh-speed wireless communication and noninva sive transparent image. Utilizing recent transistor performance in CMOS technology, those new applications are being realized by commercial CMOS process. Since base-band signal processors are indispensable in a system level, CMOS circuits for millimeter-wave and terahertz have advantage against compound-semiconductor circuits from viewpoint of high-volume production and low-power consumption. In this talk, we will discuss millimeter-wave and terahertz CMOS design by clarifying difference from conventional microwave design. Design examples from system level to building block for mobile high-speed communication are also discussed. 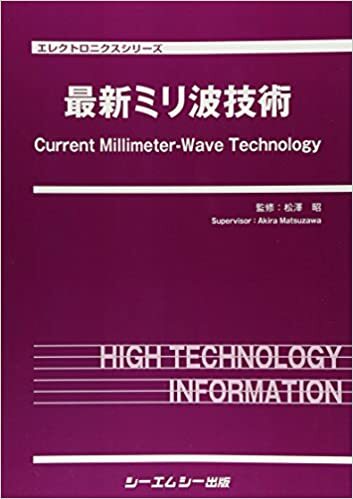 Millimeter-wave and TeraHertz CMOS Design, Minoru Fujishima, 2014/05/17, With Invitation, Millimeter-wave and its h igher-frequency part “terahertz” have attracted many attentions to open up new applications such as ultr ahigh-speed wireless communication and noninva sive transparent image. Utilizing recent transistor performance in CMOS technology, those new applications are being realized by commercial CMOS process. Since base-band signal processors are indispensable in a system level, CMOS circuits for millimeter-wave and terahertz have advantage against compound-semiconductor circuits from viewpoint of high-volume production and low-power consumption. In this talk, we will discuss millimeter-wave and terahertz CMOS design by clarifying difference from conventional microwave design. Design examples from system level to building block for mobile high-speed communication are also discussed.